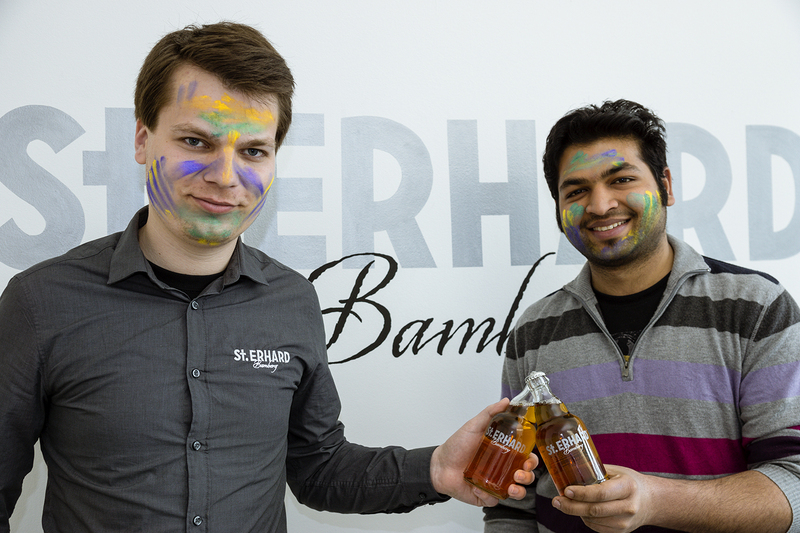 Yesterday was a great day for us at St. ERHARD. 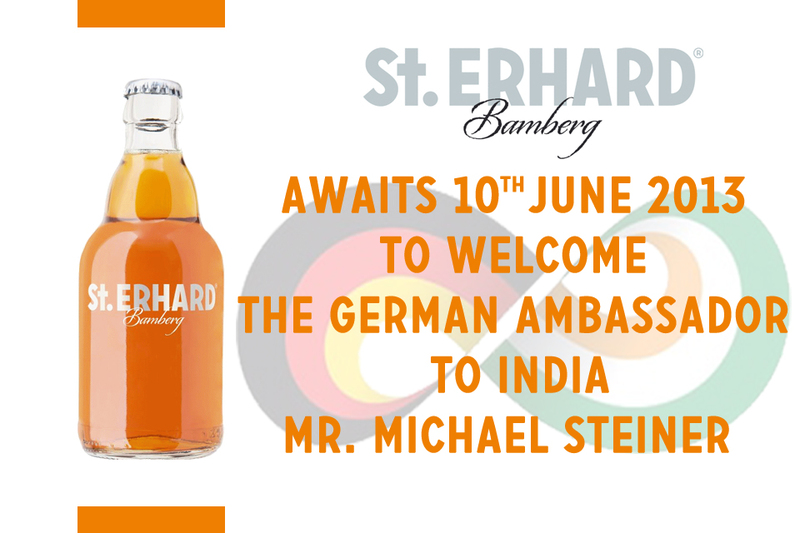 As we mentioned in our last blog post we were excited to host an event where dignitaries like Mr. Steiner (German Ambassador to India) accompanied by other important people from India came to visit us at St. ERHARD. The event turned out to be a big success. It was great in terms of both visibility and in conveying the message of our brand across people who are working towards bringing two nations together. The day started with preparing the conference room for the event to happen. After lunch the whole delegation arrived after visiting the Bosch campus which is also based in Bamberg. They were all welcomed very warmly by the whole team of St. ERHARD also in the presence of our investor Mr. Wiskot. The presentation started with a small note from Mr. Steiner joking about him being from Munich when Christian (Founder & CEO of St. ERHARD) welcomed everyone to the beer capital of Germany i.e. Bamberg. The delegates seemed really happy with the whole arrangement and were excited and also astonished to hold out product in their hands. The first question which was asked to us was “How come beer in a transparent bottle?” followed by questions related to the sales in India and so on. Christian answered all the questions in the best possible manner and the presentation ended on a high note from Christian by inviting all the delegates to the brewery where St. ERHARD is brewed. A mixture of excitement and curiosity was clearly seen on the faces of the delegates. Soon we reached the brewery and our brewmaster welcomed all the delegates followed by the tour through the whole brewery. Starting from explaining them about the history of beer, with the German Reinheitsgebot (Purity Law) so that the delegates could understand how and what actually the beer is made of. Different types of malts and hops were shown to them and also were tasted in order to get the taste and aroma of the raw material of beer. Furthermore, the process of fermentation was explained and storage facilities were shown. The idea of this tour was just to take everyone present there through the whole process and the story of beer. From the time it’s just raw hops, malt, barley and yeast till the time it turns into a liquid and is filled in bottles. It was great to hear what the delegates had to say after they were served with the fresh St. ERHARD from the beer tank. I remember one of the delegate mentioning to me that “It has a very refreshing taste, this beer will not only be loved by Indians but also be valued because of the history attached to it”. I was not only happy but was very proud to meet so many people from India again and to talk to them in my language and also to explain them the whole concept of the brand. I always had this feeling that I am someone who is acting like a facilitator in bringing together the culture of two countries which are rich in cultures, values and traditions. When it was time for them to depart for their flight to Berlin they all were awarded by the special annual reserve beer from the brewery just as a token of appreciation for their visit and for their valuable time.